I know the act of yarn bombing (a.k.a. "knit grafitti") is prolly supposed to be all hush-hush, but I can't help blabbing about these knitting adventures of mine. Which means, it's really no secret, & not hush-hush at all. 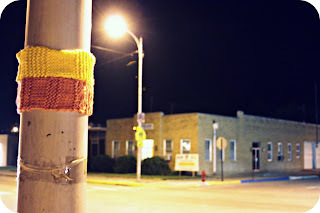 When my knitting accomplice & I headed out to do some grafitti on this particular evening, we were a bit apprehensive. Because, seriously, she recently got pulled over for RUNNING DOWN THE STREET!! She only got a verbal warning I believe. 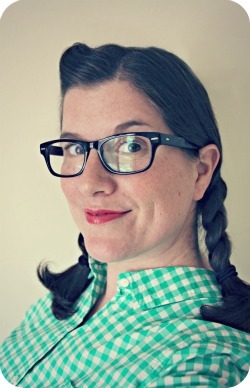 But what would the Po-Po do if they saw us meddling on Main Street with yarn & needles & scissors?? We'd get sent to the slammer for sure! 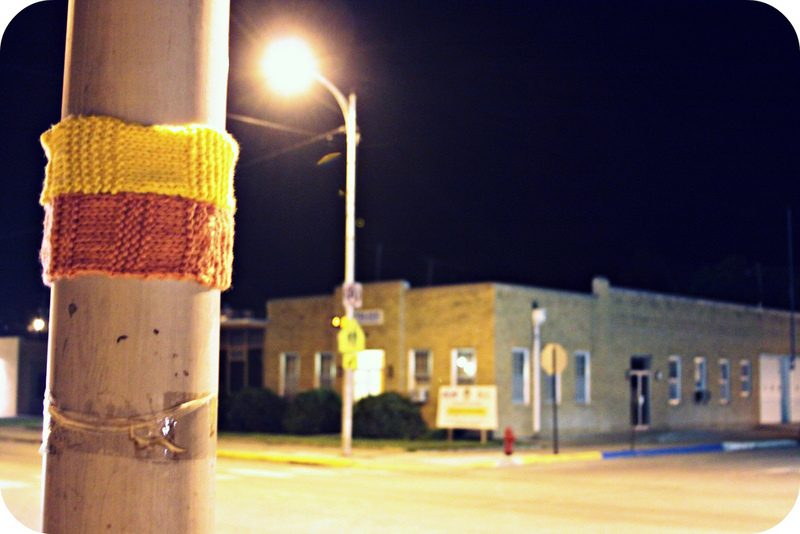 Ironically, to make things a bit more interesting, we decided to yarn bomb a light pole RIGHT ACROSS THE STREET from the police station. haha! Everything went smoothly though. And more quickly than my first attempt. I predict a totem pole of yarn happiness in this light pole's future. Oh this is great! I love it. Do you ever go back to see if they are still there? Have you ever had one removed? I really like this idea! You could do friendship bands for light poles. LOL! Hee hee. I haven't yarn bombed yet, but maybe, just maybe.... I recently had a yard sale and didn't sell all of my yarn so I'll measure some interesting sites around town and start knitting. Can't wait!! !